About Sadie . . . | Just something I was thinking about . . .
To give you an idea of who I am and how I think, my favorite book is The Children’s Story, written by James Clavell. I happened to see it at the library and its physical stature was so different from his other books it caught my eye. Once I got home, as I walking into my bedroom, I opened the book and started reading the first page. I found it so riveting, that I sat right there on the floor of my bedroom and read the entire book. (It’s a small book!) If you have never read this book, you owe it to yourself to check it out. It will make you think about and examine many things – most aptly critical thinking skills and our freedom of speech, expression, and thought. Later, I read that Clavell said this book came together quite quickly – requiring no rewrite and changing only three words. Hi Sadie! i just found my way over here from OM’s site. Sounds like you have some interesting ideas. I’d like to hear more. I don’t currently have a blog but am considering it. And there ain’t no one as prolific as OM! Merry Christmas Paul!! You know i will – looking forward to it!!! Sadie? Where ya been gurl? C’est Moi! Lancers. If you have time, check out the ‘Daily Lenny’ on my blog. But promoted, ’cause I think you might like it. Great blog. Opinions are my thing. Just a thought blender. Thanks for visiting my site and I look forward to reading more. Thanks Teela! I enjoy your posts, too!! Hi, great blog! I like your opinions on current issues – I like reading personal blogs but blogs rooted in world events are so interesting too. Interesting blog, you have there! Hi! Thanks for getting back to me. You are awesome!! It actually doesn’t have to take a long time, because the rules only ask for adding two sentences to the story. Galesmind has actually agreed to take the baton a couple of hours ago, but I know she will be looking someone to take it from her. I’ll let her know. If you participate and need help finding a handoff, let me know. I’ll be happy to help. If you don’t have the bandwidth to participate, let me know and I’ll pass it on to someone else. I’m glad your up for the challenge, Sadie, despite all else that you have going on. Again, if you’re pressed and don’t think you can manage it, let me know, but I do hope you’ll be able to fit it in tomorrow. 🙂 Done – enjoyed it immensely!! Thanks Doobs!! Thank you kindly for dropping by my blog. 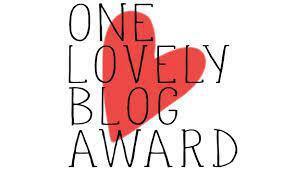 Dear Sadie, I just nominated you for the Very Inspiring Blogger Award, because I find you to be so very. Inspiring, that is. And you know I really mean it, my friend. Rules on my post, plus I said something nice about you. Spring is stepping in, ever so slowly, Sadie. Take your time with the award. These things have no time limits, my friend. Congratulations, my deserving friend.